Pickle the onion by placing it in a bowl with sugar and white vinegar. Set aside for 30 minutes, then discard liquid. 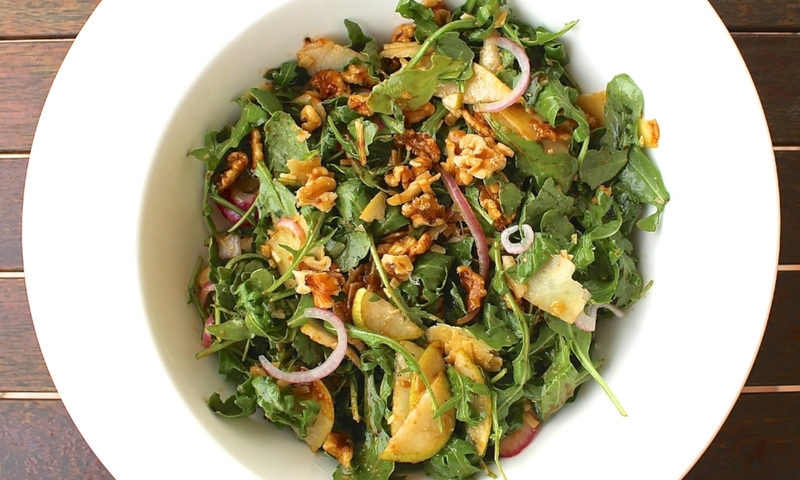 In a bowl, combine onion, rocket, pear, walnuts and parmesan. Add olive oil and balsamic vinegar and toss to coat.